EHF Marketing GmbH has extended its partnership with leading international sports betting company, bet-at-home.com for a further season. 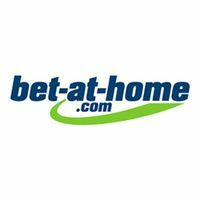 bet-at-home.com has been an active sponsor of the EHF Champions League since the 2006/07 season. The deal includes presence of bet-at-home.com at selected VELUX EHF Champions League games, including the VELUX EHF FINAL4, and the Women's EHF Champions League as well as both men’s and women’s European Cup competitions. As a Regional Premium Partner, the deal includes a comprehensive TV advertising package, hospitality and promotional benefits. Michael Gierke, Marketing Director at bet-at-home.com, said: “We are very proud to be able to work with EHFM for another year. Through this international cooperation, we once again underline the fact that sponsorship is an important part of our communications strategy.